There are a couple of your doors that just will not stay open and swing shut, I think they may be a little warped or unbalance… or something a carpenter could easily describe. 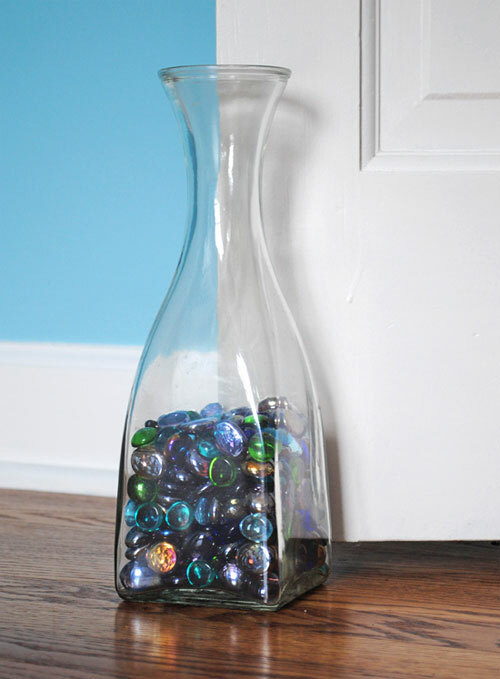 So you needed a couple of door stops and those yucky wedges you can buy were not “floating my boat”.Time to DIY something simple yet elegant. 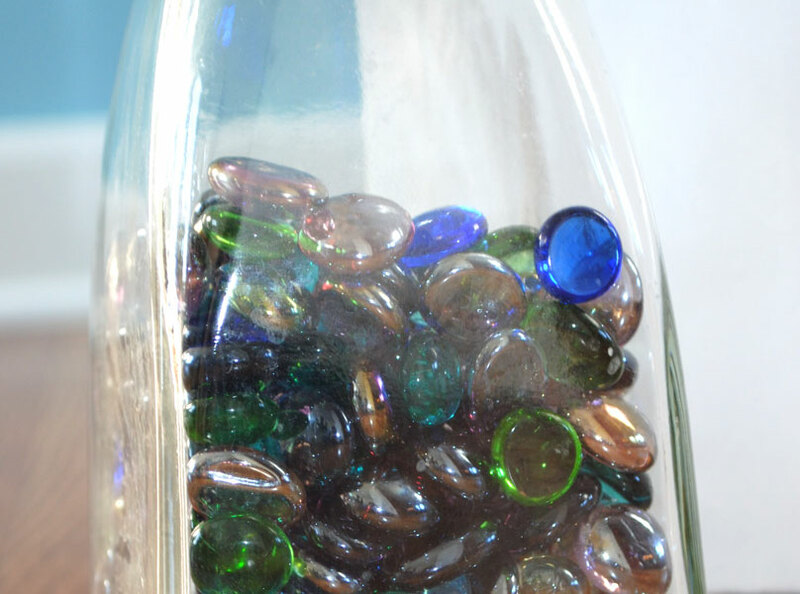 Take one glass bottle I have had for donkeys years, fill it with those lovely glass beads you can get from Micheal’s and voila, a door that doesn’t close unless I want it to. I would also like to have a go at making a really big rope ball to use as a door stop. 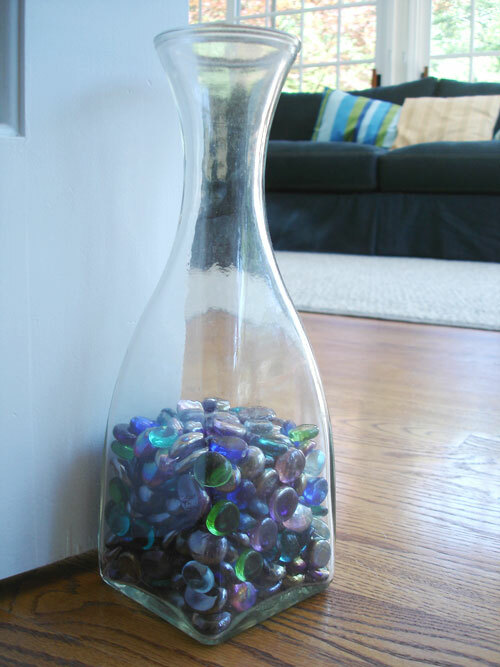 This entry was posted in beads, Decorative Accents, Home Decor. Bookmark the permalink. 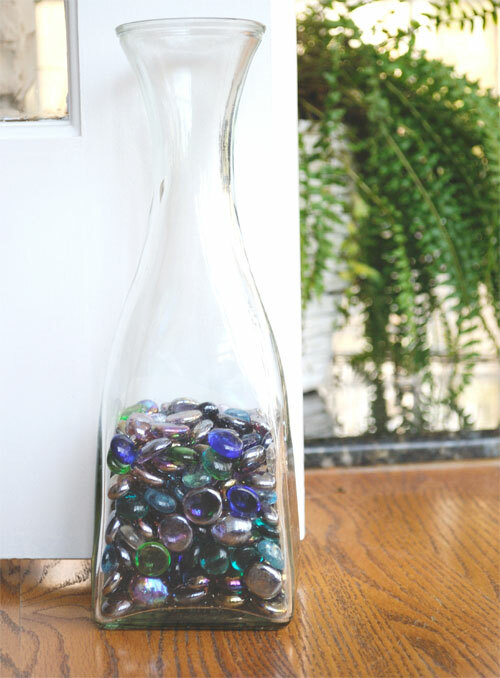 How beautiful….I use fabric covered bricks…I am pinning this and gonna do this. Thanks for the idea. good idea! thanks for sharing!!! !